Hampton Roads, VA – Jim and Patrick Sheegog traveled the wet and gusty east coast roads during Hurricane Sandy to attend the Virginia government procurement event “FORUM 2012”. There were over 650 participants and exhibitors signed up for FORUM, representing both private and government suppliers & procurers. Although the weather conditions from the storm limited attendance to a degree we were glad to see a great host of attendants at the Hampton Roads Convention Center. 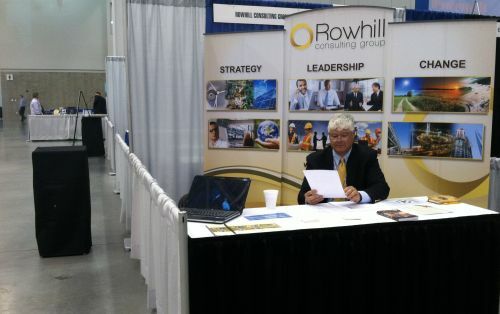 The event was a great success for Rowhill as we garnering key partnerships with fellow consultants in the Virginia area, such as computer training firm TechnoTraining, Inc. In addition to networking and meeting key contacts we learned what challenges public education institutions face in 2013 and look forward to carrying those discussions forward into the new year. Our excitement around teaching coincides with our drive to constantly solve new problems and re-innovate. The FORUM expo provided a wonderful platform to find these new opportunities.